A full month after its initial release, Netflix’s teen drama 13 Reasons Why continues to appear in the news with unusual regularity. There’s been a strong backlash against the series’ depiction of suicide, and the show’s creator has spoken about why they made the choice to represent Hannah’s death so graphically. Most recently, discussion about the show has turned to Netflix’s new trigger warnings that appear before certain episodes, and the wave of schools either banning discussion of the series or warning parents about it. 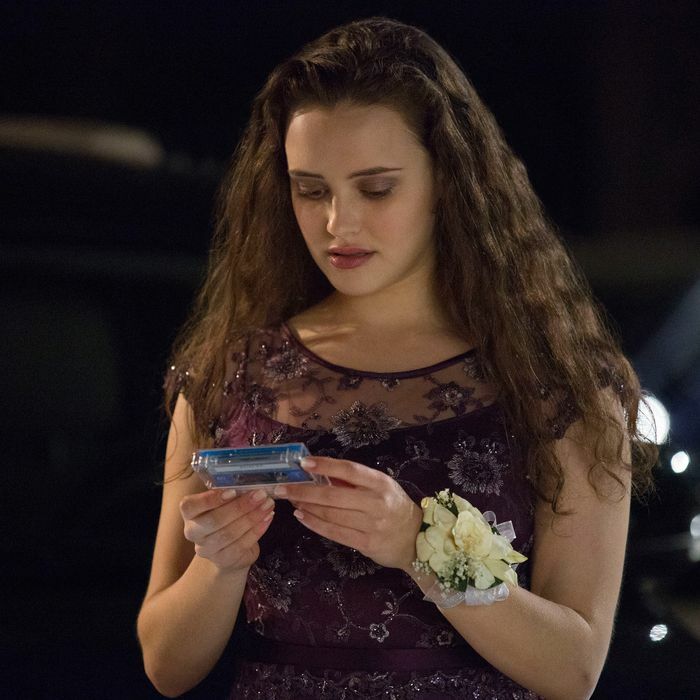 When the series first came out, I wrote about the way its unusual narration device felt like a response to other TV depictions of dead young women — where characters like Lilly Kane and Laura Palmer are mostly silent, Hannah Baker is a remarkably present, vocal explainer of her own death. She’s empowered in a way few female victims are on television. That’s fascinating, and I still think it’s responsible for much of what makes the show successful. It may also be part of the problem. The question of how to depict suicide, depression, and other mental-health issues often circles around this idea of glamorization. For someone who may be inclined to take their own life, a fictional portrayal of suicide that casts that action as a form of empowerment, or retribution, or in any way frames suicide as an effective response to a problem, could well be far more hurtful than helpful. Hannah’s ever-present voice reflects a deep tension in the series: On the one hand, it makes for better TV, but on the other, it may encourage the reading of suicide as empowerment. In truth, this fundamental conflict is baked into 13 Reasons Why’s basic mystery structure. It’s odd to say that about this show. We know Hannah killed herself from the very beginning. What mystery is there left to solve? And in its best moments, that’s a message the show is careful to make. There’s no one cause for Hannah’s death. There’s no single perpetrator. The idea of assigning blame and responsibility for what happened can never be some simple revelation (“actually it was you!”), because there’s no simple, clear-cut explanation. This is — this could be — the show’s message about Hannah’s death. Except that message doesn’t necessarily make for compelling, must-watch television. “The idea of assigning blame or responsibility for this young woman’s death is incredibly complex and has to include several levels of complicity and inattention and malice, and none of them will ever feature a satisfying conclusion or sense of justice,” is hardly the stuff of strong forward narrative momentum. No matter how nuanced and careful the show would like to be about suicide, its basic building blocks are at odds with its desire to tell a story shattering the “myth and mystique” of suicide. There’s been much attention on how the series shows us Hannah’s death, and whether or not it should’ve, deservedly so. But as much as anything, Hannah’s death and the “glamorization” of suicide has to do with when the series gives us that scene. It’s not the starting point the show claims it to be — it comes at the end, like the final battle set piece in a tense thriller, or like the moment when a mystery unmasks the real killer. It’s presented as a culmination, a completion, and an exciting, dramatic final denouement. Surely this is not the least triggering possible portrayal of a suicidal act? And yet much of the final endgame of the season is what rescues the show as a well-plotted television series. After messing around and delaying too much in the middle, all of the threads finally come together and Clay becomes more of an active detective figure. Information gets shared, at last. Secrets are uncovered. Our desire to learn those reasons why, particularly in the final scenes with Clay and Bryce, and Clay and Mr. Porter, fulfill the promise of the show’s title. It’s a series that would like to present a complex, ambiguous perspective on things in the past, and yet 13 Reasons Why pushes you toward its future end point with a surprising amount of force. It should! That’s what makes interesting storytelling for a mystery, and if you begin with a “why” question, the point is to drive the audience toward the final answer. But as has become more and more clear, all this has only raised more questions, about whether the show “glamorizes” suicide, whether it’s safe for teens to watch and discuss, and how fiction impacts real-world actions. Those questions are important, especially in a context as incredibly serious as this one. And in trying to unpack them, it’s useful to remember that those questions are not just the result of one or two specific scenes. They’re reflective of a tension built into the entire idea of the show, a tension 13 Reasons Why has no way to resolve. No matter what the series does or what its creators may say about it, it will always be hard to reconcile the show’s message — that suicide should not be an end point — with the fact that its mystery structure makes Hannah’s suicide the literal end.